A friend tagged me on a Vaxxed video recently, and I was so glad he did. This time Polly was talking to Cammy Benton, a smart, down-to-earth doctor, who also happens to be a mother. She had a terrific story about the data behind flu vaccine recommendations and mandates. I immediately contacted her to see if I could talk her into writing it down. She thought it was a great idea. This is reposted from the blog on her practice’s website. Smart doctors don’t get flu shots. Does that mean you’re not smart if you got a flu shot? It means the pharmaceutical industry has you and your wallet right where they want you. It means you believed the hype instead of looking at the science. Smart doctors don’t get flu shots. But I’m a doctor and not only did I get them, I insisted my mom and my siblings get their flu shot too. Once you hear my story, you will see that I can’t judge anyone who gets a flu vaccine. But I do judge an industry that tries to terrify and deceive people into getting a flu vaccine they do not want or need. Growing up, I never had a flu shot and I also never had the flu. But as a young adult thinking about starting a family, I listened to my doctor. I was told getting a flu shot was not only good for me and my family, it was essential. Life-saving. And not getting a flu shot? Only irresponsible, unintelligent patients and crackpot parents refused the flu vaccine. How could there be a problem with the flu vaccine? Everyone was getting one. You could get them at the supermarket. Besides, my doctor couldn’t be wrong. Since my husband and I were starting a family, I made my mom and siblings get the flu shot too. I didn’t want my family spending time around my children if they were not fully vaccinated. That was just good common sense. We had three children in five years and I insisted every year that family members get the flu shot. Every year. My mom, who had not had the flu since childhood, my brother, and my sister all got high fevers, body aches, and upper respiratory infections, all within 24 hours of the flu vaccine. All lasting a week or two. For three years in a row. I am a conventionally trained medical doctor. I saw my family get sick within a week of the flu vaccine. Three years straight. But I dismissed it. Nothing to do with the flu vaccine. You can’t get sick from a vaccine. That’s what I had been taught. And that’s what I believed. Besides, I was fine after my first flu vaccine. Initially. True, I started getting almost constant colds that lasted four or five months following the flu vaccine. Before, when I didn’t get the vaccine, I was usually healthy and cold-free in the winter. It took me awhile to connect the dots. It took me awhile before I stopped ignoring the clinical evidence in front of me, in my own body, and in my mom and siblings. It’s hard for doctors to realize our education is incomplete. It’s hard to become aware that the whole medical establishment is caught up in a belief system that is simply untrue. It’s hard to admit that we are wrong. It took me three years but I figured it out. Every year the flu vaccine was making me and my family sick. My colleagues keep telling their patients you can’t get sick from the flu shot. And they say it “would have been so much worse without the shot.” Can you hear the BS meter going off? I couldn’t back then but I can now. The sound is deafening. Look at the science. We now know, from both animal and epidemiology studies in humans, that the flu vaccine can and does make you sick. I used to work for a group practice. Our practice decided to mandate the flu vaccine. They did not mandate that we eat vegetables with every meal, get optimal amounts of sleep, have our vitamin D levels checked and supplement with sunbathing or supplements if they were below optimal levels, or adopt other health strategies proven to support the immune system. Why mandate the flu vaccine? That dictate started wheels turning. How important is it really to get the flu shot? What are the real risks and benefits? In medical school we did not look critically at vaccines. We did not study the risk of adverse events, discuss vaccine ingredients, or talk in any detail about efficacy rates. We were not told that the government compensates families with loved ones who have died from a vaccination or suffered other extreme health problems. Instead, we were taught what amounts to little more than propaganda about vaccines. You are supposed to accept it without question and, of course, you do. No one wants a child to die. We become doctors in order to heal people, and keep them alive. So of course we don’t question the Holy Grail. Which means never looking critically at the necessity, efficacy, and safety of any given vaccine. The flu vaccine works and saves thousands of lives every year. End of conversation. We are told that between 30,000-50,000 die annually of the flu, a dangerous and sometimes lethal illness that affects infants and the elderly the most. “…in the United States alone, over 36,000 people die and 200,000 are hospitalized each year because of the flu,” according to Harvard University. Flu death statistics are usually tallied from the Morbidity and Mortality Weekly Report database. But deaths from the flu and from pneumonia are lumped together in one category in the MMWR. This greatly inflates the number of “flu” deaths. And is a nonsensical way to capture statistics, as the majority of pneumonia cases have nothing to do with the flu! Yep. It is true. The death rates from the flu that we are told year after year, repeated ad nauseam in medical training and in the media, are, as Bob Sears, M.D., puts it, “grossly inflated” (The Vaccine Book, p.121), and what this country doctor would say more plainly, are simply made up. I contacted the chair of the committee that was recommending flu vaccine mandates at my work and asked him to share the scientific evidence that mandating flu vaccines for health care workers actually reduces death rates from the flu. Then he rattled off several major medical organizations recommending the flu vaccine, including the American Academy of Pediatrics, American Academy of Family Physicians, and the American Heart Association. So what does this bulldog do? I write them all, asking for a list of scientific studies supporting flu vaccine mandates and requesting the information that proves that mandating the vaccine for doctors and nurses contributes to better outcomes. Some ignored me but some responded. They all said the same thing: That they didn’t have the information I’d requested! One prominent organization recommended I contact the Centers for Disease Control and Prevention (CDC) and the National Institutes for Health (NIH), as they based their recommendations off the CDC’s and the NIH’s. So none of the leading health organizations shaping public health policy has scientific information to support the policy to mandate the flu vaccine? I had three young children and worked full time. But I wanted to read the science for myself to find out if what I was noticing clinically—with my own health, my family’s, as well as with my patients’—was valid. As helpful and important as vaccines may be, the flu vaccine recommendation left me with more questions than answers. Since none of the organizations insisting on the necessity of the flu vaccine could provide me with direct information, I went searching for it myself. I will put it to you that any conventionally trained medical doctor who is willing to impartially research the science behind the influenza vaccine safety, efficacy, and necessity is in for a surprise. The best place to start a search for accurate medical information is usually the Cochrane database. Cochrane is a non-profit research organization based in the United Kingdom and they tend to be considered the gold standard in scientific medical research. Their reviews of the medical literature are comprehensive and carefully peer-reviewed. So what does Cochrane have to say about the flu vaccine? It’s not effective for children under age 18 or for adults over 65. Between ages 18 to 65, it is only 30-50% effective in an average year (which means it fails between 50-70% of the time) and up to 80% in a perfectly matched year (a much lower number than most vaccines). There is no decrease in flu transmission rate or hospitalization rate for people who have gotten the flu vaccine. MAIN RESULTS: We included 50 reports. Forty (59 sub-studies) were clinical trials of over 70,000 people. Eight were comparative non-RCTs and assessed serious harms. Two were reports of harms which could not be introduced in the data analysis. In the relatively uncommon circumstance of vaccine matching the viral circulating strain and high circulation, 4% of unvaccinated people versus 1% of vaccinated people developed influenza symptoms (risk difference (RD) 3%, 95% confidence interval (CI) 2% to 5%). The corresponding figures for poor vaccine matching were 2% and 1% (RD 1, 95% CI 0% to 3%). These differences were not likely to be due to chance. Vaccination had a modest effect on time off work and had no effect on hospital admissions or complication rates. Inactivated vaccines caused local harms and an estimated 1.6 additional cases of Guillain-Barré Syndrome per million vaccinations. The harms evidence base is limited. Dr. Hyman concludes that the majority of Americans do not need a flu vaccine. He explains the science behind his conclusion here. Influenza vaccine protection is markedly lower than for most routinely recommended vaccines and is suboptimal. CDC recommendations about the flu vaccine over the past 30 years have not been based on scientifically sound data. I shared the results of my research with colleagues. They were stunned. Just stunned. I also wrote back to the committee member who wasn’t aware of this data to let him know that there is no scientific data to support mandating flu vaccines. And since those studies have been published, flu vaccine efficacy rates have hit new lows. In 2014-2015 the flu vaccine was only 19% effective. This year FluMist, the nasal spray influenza vaccine, is no longer recommended. Why? Because it doesn’t work at all. Dr. Mark Hyman practices functional medicine. Like integrative medicine, functional medicine seeks to individualize medical treatment, identify and treat the root causes of illness and disease, and help the body heal itself through lifestyle and nutritional intervention, not just pharmaceutical products. At a functional medicine conference, I happened to be seated at lunch beside a lovely CDC senior medical official. She was there to learn more about functional medicine. She was super nice and, of course, I couldn’t help but be excited that I was sitting next to gold. Or so I thought. Dr. Benton: So, what do you think about the flu vaccine? Dr. CDC: It’s a good thing. A wonderful intervention. Everyone needs one. Absolutely. Dr. Benton: Have you looked into the recent science? Dr. CDC: Of course. So good to see our ideas confirmed—it’s a safe, efficacious vaccination that seems to cause few, if any, side effects. Dr. Benton: So you’ve read these studies yourself? Dr. CDC: [Hesitating. Silent. Long pause.] Well, actually, I haven’t . . . So I jumped in. I told her all about the Cochrane review. She, a senior CDC medical official, did not have a clue. In all fairness, just because you work at the CDC, should you really know all the most recently published studies about all vaccines? I don’t think so. And to her credit, she was interested and engaged and listened with an open mind. She told me I needed to talk directly to the influenza division of the CDC. So this small town country doctor made an appointment with the medical director of the influenza division of the CDC. With sweaty palms and racing heart, I made the phone call at the appointed time. I introduced myself and proceeded to go over the data about the flu vaccine, including that per the national vital statistics on the CDC website, that there are only about 1,000 deaths out of over 300 million people from the flu. She said she didn’t have one! In fact, she said, there will never be a good flu vaccine because there are over 200 different viruses that cause influenza and influenza-like symptoms and vaccine manufacturers have to guess a year in advance for the strain of flu that might be in circulation that coming year. Like meteorologists predicting the weather, sometimes vaccine scientists are pretty accurate, sometimes they are dead wrong. So I asked her why our government is pushing flu mandates across the country. She denied that the CDC was recommending mandates, and admitted there is simply not enough science to justify mandating the flu vaccine. All of these hospital, school, and company policies, she insisted, were outside of the purview of the CDC. I reminded her the CDC shapes public policy by recommending vaccines and that medical professionals were being fired across the country for refusing the flu vaccine. She said she disagreed with that practice. The smart doctors who work inside the CDC know the flu shot isn’t working. And they probably don’t get flu shots either. Why this ridiculous push for a vaccine that doesn’t work, that prompted more government pay-outs because of adverse events, including death, than any other vaccine in 2017 so far, and that also contains ingredients analyzed by CDC scientists and found, in a recent peer-reviewed paper, to be highly neurotoxic? Could it be the bonuses that insurance companies pay to medical groups for flu vaccine compliance among their staff and their patients? Could it be the hundreds of thousands of dollars paid to politicians by the powerful pharmaceutical lobby? In an 8-year period donations by pharmaceutical companies that manufacture vaccines given to the American Academy of Pediatricians exceeded 9.4 million dollars (The Business of Baby, p. 223). Smart doctors tell their patients the truth. Smart doctors give their patients all the information they need to make an informed decision about what is in the best interests of their health. Smart doctors tell their patients the risks of the vaccine, the benefits of the vaccine, and the alternatives to vaccination. The best alternative, in this doctor’s assessment, is not to get a flu vaccine. What I would do . 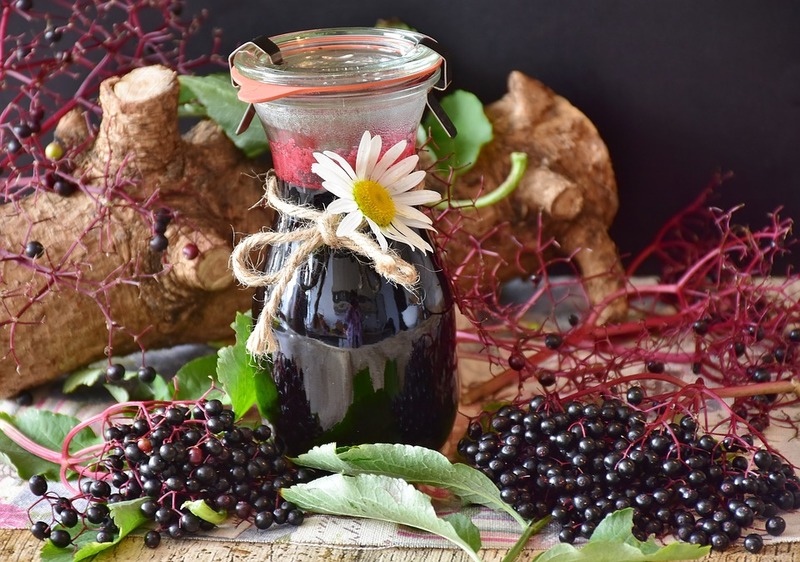 . . Get some Elderberry Syrup! Dr. Benton is a family doctor who, through a series of personal issues, stumbled upon a more fun way of approaching medicine. Her first goal is to improve the health of herself and her family through nutrition and lifestyle. Then she loves sharing what she is learning through trial and error at home but also through formal training in Functional Medicine and Ayurveda. 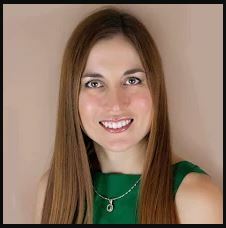 Her goal is to teach people how to take care of themselves and minimize need for Western Medicine because real prevention comes from nutrition, lifestyle, spirituality, healing the gut, and happiness. Let’s fix what we can and then use Western medicine when appropriate. 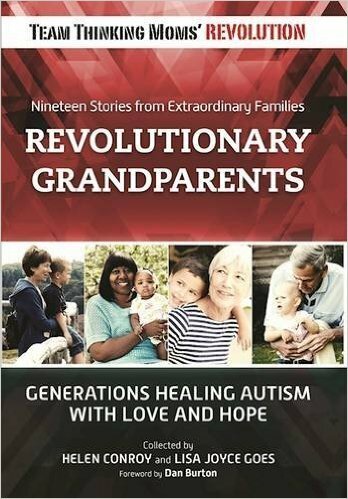 This entry was posted in Blogs by Thinking Moms' Revolution, Cammy Benton, Featured Guest Blog and tagged cdc, doctor, flu shot. Bookmark the permalink. 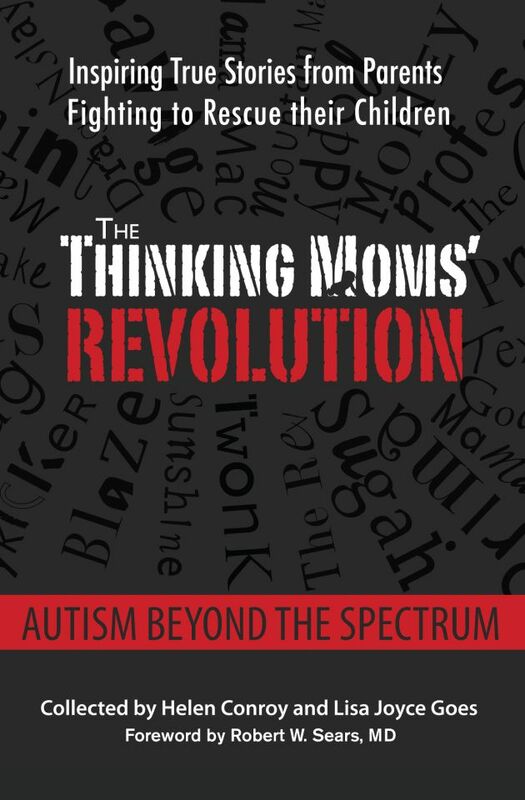 What is a solid source that connects the correlation of flu vaccines, or vaccines in general to the explosion in autism diagnosis? Start at VaccinePapers.org. Everything on there is meticulously researched from peer-reviewed science. Oh, I think everyone here is well aware that the CDC is in favor of flu vaccines. However, we’re also all aware that the CDC is anything but unbiased in their assessments. What is the evidence that CDC is biased? What is their motivation for being biased? Is that bias shared by World Health Organization, American College of Physicians, American Academy of Pediatrics, Advisory Committee on Immunization Practices and American Medical Association? They’re all in cahoots to mislead the American public? Why would that be? You have only to compare what the CDC says about influenza vaccines to what the Cochrane Group has said about them. Cochrane was known as the gold standard in unbiased research, though recently they took a large donation from the Gates Foundation, which is known to be EXTREMELY in favor of all vaccines, whatever the evidence. Cochrane’s reviews of the science on influenza vaccines makes it clear that the evidence does not justify wholesale recommendation for the entire population. As to motivation, you’d ha e to ask the individual. 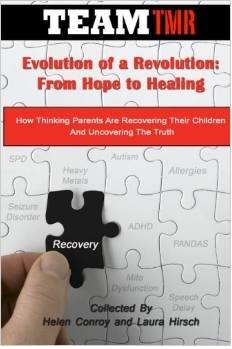 Julie Gerberding headed the CDC during the years when it conducted the bulk of the ridiculously poor studies that “exonerate” vaccines, notably the MMR, a Merck product, in connection to autism. She was also there when Gardasil, also a Merck product, was fast-tracked and recommended for all young girls 11-25. She left the CDC to head up the vaccine division at Merck, where she made millions from Merck’s sale of MMR and Gardasil. The ACIP is also populated by people with numerous conflicts of interest, that included Dr. Paul Offit, who has made millions from a patent on a rotavirus vaccine. Upton Sinclair said, “It is difficult to get a man to understand something, when his salary depends upon his not understanding it!” The American College of Physicians, the American Medical Association, and the American Academy of Pediatrics all receive substantial money from pharmaceutical companies, so yes they are subject to similar bias. I don’t know the particulars about the World Health Organization, but I would strongly suspect that there is similar corporate money driving many of their policies. “For example, to help pay for its new “Take 3” flu-prevention campaign, the CDC, via its foundation, accepted a $193,000 donation from Roche, the company that makes the antiviral drug Tamiflu, Lenzer reported last February. Michael. You only link to the CDC. So you are telling us to go with the the “right of authority, rather than the right of science. “Blind believe in authority is the greatest enemy of truth” Einstein. You should take some time and look at the science yourself, here is much science you will never see on the CDC website. https://www.arationallookatvaccines.com/flu-shot-yes-or-no Then at this same website, check out the drop down Tab Q on the CDC to see how conflicted it is. You say in your comment the “Flu shot lessons the risk of severe influenza” and you also say the “flu shot reduces the risk of hospitalizations”. If you look at the above website, you will find several studies saying the opposite. The CDC has always only looked at studies that suit it’s point of view and ignores all others. You also might look at this here https://www.cnn.com/2013/01/17/health/flu-vaccine-policy/ This says “most of Europe does not have a universal flu shot recommendation” like the US does. This also says “the data does not support a universal flu shot recommendation for everyone over 6 months old”. The US life expectancy is lower than any European country. Many reasons for that obviously, but Europeans are not all dying of the flu. Beware of paying for fake news with your lives. Thanks, Michael, for your unintentionally hilarious input. First off, this site is a BLOGGING site, not a news site, so by definition cannot be “fake” news. Second, every one of your links is an opinion piece (filled with dubious “facts”) masquerading as news. “One brand of monovalent pandemic vaccine was associated with a sudden loss of muscle tone triggered by the experience of an intense emotion (cataplexy) and a sleep disorder (narcolepsy) in children. “The underlying assumption that influenza vaccination does not affect the risk of non-influenza is contradicted by a recent report from the follow up of a trial by Cowling et al.8 In 115 participants, those who received trivalent influenza vaccines had higher risk of acute respiratory infection associated with confirmed non-influenza respiratory virus infection (RR, 4.40; 95% CI, 1.31–14.8) compared to placebo recipients. The agents were mainly rhinoviruses and coxsackie/echoviruses; ILI episodes occurred shortly after a peak of influenza activity. “Current yearly registration of candidate influenza vaccines is based on their ability to trigger a good antibody response. But antibody responses are poor predictors of field protection. This is another example of the use of surrogate outcomes in biomedicine, where effects on clinically important outcomes remain unmeasured or unproven from randomised trials: complications and death by influenza. “The simple answer is that we do not understand what the target is. What is the threat of influenza, and what can we ever expect of the vaccines? “However there is no reliable system to monitor and quantify the epidemiology and impact of ILI, the syndrome that presents clinically. Few states produce reliable data on the number of physician contacts or hospitalised cases due to ILI, and none tie these data to the proportion of ILI caused by influenza. We do not know for certain what the impact of ILI is, nor the impact of the proportion of ILI caused by influenza. Prospective studies apportioning positivity to the scores of viruses probably causing ILI are rare, as interest is focused on influenza. The standard quoted figure of 36,000 yearly deaths in the US is based on the “respiratory and circulatory deaths” category including all types of pneumonia, including secondary to meconium ingestion or bacterial causes. More recently, the US Centers for Disease Control and Prevention (CDC) have proposed estimates of impact ranging between 3,000 and 49,000 yearly deaths. When actual death certificates are tallied, influenza deaths on average are little more than 1,000 yearly. So, the actual threat is unknown (but likely to be small) and so is the estimation of the impact of vaccination. “The uncertainty over the aetiology of ILI, its capricious nature and the weak correlation between immunity and protection, point to possible causal or concurrent factors in the genesis of both ILI and influenza. In other words, virus positivity may only be one of the factors necessary for a case of influenza or ILI to manifest itself. A public records request revealed that of the 296 people who died from laboratory-confirmed influenza in Washington State during the 2017-18 flu season (October 2017 to September 2018), 124 had definitely received the flu vaccine that year, and an additional 89 were not sure. I am 84. In excellent health. I got the flu shot this year and was very very sick for 3 weeks. Severe abdominal pain, back aches and shoulder aches and a severe stiff neck accompanied by spasms and pain. Unable to turn the neck in any direction even one inch without pain, at about 3 weeks symptoms subsided. Had taken opioids for pain and muscle relaxants and anti spasm medicine etc, had ct scans of stomach and neck. Nothing worked. No more flu shot for me. Excellent article! I always had this talk with my doctor every year that I don’t want a flu shot & don’t feel right about it from my experience. He’d just laugh. Instead, I’d drink few shots a day of bourbon to prevent myself from getting the flu and it works. For 5 straight years, I haven’t got bronchitis at all. Before alcohol, I’d get bronchitis every single year. Unbelievable! What about pneumonia shot… what’s your perspective on that? I’d appreciate getting your answer on pneumonia shot. I don’t think Cammy checks back here much, so your likelihood of getting a response would increase if you went to her site. A “few shots of bourbon” a day are going to have effects that you won’t like. That’s a lot of alcohol for the body to process. This is very interesting ,I do not get the flu vaccine.I work in an extended care facility & it’s compulsory to wear the mask while working.Wearing a mask is very difficult when communicating with the residents . So many co-workers that did get the flu vaccine claimed they got the flu. And then, unfortunately, many are penalized if they take time off when sick, so they go to work while sick and infect others. The flu shot policy in most healthcare facilities is straight-up stupid. Here is a new theory on the flu shot. “You will only get influenza 0 to 3 times in your adult life, whether you never get a flu shot or if you always get a flu shot, it does not matter”. 1. The flu shot is less than 50% effective, and often much less. 2. Risk of flu is once every 10 or 20 years or so. Remember, that most people who think they have influenza, don’t. It is some other ILI or rhinovirus. 3. And because each time you get the flu you built more immunity to it. Also add in the “serial flu shot problem”, Google it if don’t know about it. I have done a totally unscientific survey on as many people I can ask and a nurse friend did a bunch more. It appears the theory is correct. I had as many people say they never get a flu shot say they never had the flu or had the flu once or twice, as say they often get the flu shot and get the flu 0 to 2 times. Me? I have never had a flu shot in my 63 years and have had the flu once, possibly twice, not sure if 2nd time was truly influenza. How about you? http://www.cbc.ca/news/health/flu-epidemic-canada-1.3925221 Read last third of this article, quotes from top expert to support my point 2 above. And the WHO says every 7 to 20 years, but that includes children. https://www.cdc.gov/flu/weekly/pdf/1112_Season_Summary.pdf The 2nd paragraph shows that only 12% tested where positive for influenza. This does fluctuate. Most people who think they have the flu don’t. Health Minister Simon Harris has refused to rule out introducing a system of compulsory vaccines for health workers. Speaking at the launch of the Government’s ‘Winter Ready’ campaign, Mr Harris said the take-up of such vaccines among nurses is particularly low. The Wicklow TD said this is in stark contrasts to doctors, who receive the vaccine in high numbers. Mr Harris told reporters that he is optimistic that there will be uptake in the vaccine among healthcare workers. But he refused to rule out making it mandatory. “I’d rather not have to, quite frankly. But I do have an open mind in relation to that,” Mr Harris said. “The uptake varies across healthcare professionals. Doctors have quite a high uptake traditionally. Nurses have had a very low uptake. So there’s urgency in the message that our nurses have to get vaccinated this year,” he added. This is a wonderful expose on the flu vaccine and the chaos that ensues when people don’t do their own homework for their health. At this point a class action law suit isn’t even possible because of the sheer numbers of the vaccine injured. When in the world did we start thinking it was OK to hand that kind of responsibility and power off to a 7 minute conversation with an exclusively pharma educated doctor? We bear the consequences and we should fight for the right to read, learn, think and decide for ourselves. The woo is strong with this one. I’m sorry, but that’s one of the most idiotic comments I’ve yet to see on this website. This post is filled with scientific sources, extensively quotes the Cochrane Collaboration which is widely acknowledged to be the most unbiased source of medical science in the world, as well as two officials from the CDC (albeit, off-the-record) and your comment is about “woo”? Make sure to get your flu vax Karl. This year and every year. We know nothing and are all completely wrong. The researchers go on to describe how, in one study on sheep, a low dose of QS-21 caused red blood cells to actually self-destruct. But get this — doses that are one-tenth what’s been put into Shingrix have been found to be toxic! I never recommend vaccines to my patients unless they are traveling to a foreign country in the midst of a typhoid or cholera epidemic. In America, which has good water, not from the tap, sanitation and no overcrowding and an occasional antibiotic if absolutely necessary, it is a detriment to ones health and clearly creates many problems as witnessed by the presence of a Vaccine Injury Fund. It has paid out almost $4 billion to date. Yeah about as good as the Nazi Fluoride dosed water in the Republic of Ireland . Same in AussieLand and NZ – all with added Fluoride ! And don’t even get me started in the Chromium6 scandals (Flint) . Thank you. It is a struggle, more and more, for those of us who question and research. I appreciate your article, your research, your info. Mostly I appreciate your willingness to be public about your knowledge/experiences/research. Years ago a walk in clinic I used occasionally had a new woman Dr, whom I ended up seeing. She had moved to this city from across the country. Cant recall now what I was seeing her for, it was nothing “big”. However I pleasantly and politely got the spiel from her how I should do this/have that/get such and such. And was urged to settle on an actual permanent personal Dr, as that made it easier for me (them) to keep track etc etc.. Although I was irked about this “spiel” there was something very pleasant about her, so I asked her “who is your Dr, and are they taking patients?”. At first I was a bit shocked at her answer. Then I had to carefully control my expression, and leave as soon as possible. I didn’t want to upset her spiel by my hysterical laughter …. oh…her reply when I asked who her Dr was etc??? (you gotta love this, after her pushing MANY procedures/tests etc). On one front we are seeing doctors coming out about being lied to and financially compensated for prescribing opiates and their eyes are opening. Doctors are also not administering or even recommending vaccines anymore once they have seen the adverse effects, ALSO citing they have been lied to and receive bonuses for distribution. It is not hard to see the purveyors of both are the same beast. Thinking people know the M.O. of pharma is the same. It is a product they must move, not a device for public health. In both cases, death or destruction of the recipient is a byproduct. Time to pull the plug. Excellent article, thank you so much for posting. My mum got the flu shot this year and once again got really sick almost immediately, Her whole body was in pain. She knows better than to have taken it as she has become sick from it in the past but the sadly, the pressure from her doctor, whom she trusts blindly, was too great. Thank you! I posted about my experience as a cancer patient who refused vaccine. I never get the flu, have never been vaccinated, work full time with the public(mostly children) and I am 71 years old. Could you link to your experience please? I’d like to send that along to a friend. Thanks! Is it possible for you to just share, post or copy? Really good! I wish you were my doctor. Thank you for speaking out. I know, right? Don’t we all wish we had a doctor like her? There are no benefits to the vaccine. None. The best way to avoid the flu, then, is to not need it. Eat right, sleep right, laugh right and avoid toxins, the most intimate and egregious of which are vaccines. I’ve only had the flu twice. And the second time I remember welcoming the fever, feeling like it was burning off so much crap in my system. What does it say about the infallibility of the ‘safe and effective’ vaccine narrative when those working within the very system that delivers the shots are refusing to take them themselves? Is it because nurses see vaccine injuries firsthand? Are the nurses, or anyone else, justified in refusing the flu shot? Why doesn’t this information appear on national news feeds? The CDC needs to be honest with the public. They can’t. They’d honest themselves not only out of business, but into a courtroom, indicted for crimes against humanity. Shawn is absolutely right. Honesty at this point would indicate a string of crimes so long that there is no possibility that they are going to voluntarily come clean. The Brigham notified 18,000 employees last week about the new policy, which mandates that all workers be vaccinated annually, with exceptions for medical or religious reasons. Employees who go without the flu shot must wear face masks when they’re around patients. Vaccination rates were below 10% in Our Lady’s Hospital, Navan – The smartest nurses in Ireland . A survey by the HSE’s Health Protection Surveillance Centre has revealed that just over one in five of all healthcare staff in such facilities availed of a free flu vaccination last year. Results from 50 of the largest hospitals in the country showed the overall uptake was 22.5% of medical staff last winter. It represents a slight improvement on the vaccination rate of 21.3% recorded in 2014. Average uptake levels among similar staff in the UK was over 50% during the same period. In the US, vaccination levels reached over 66%. Healthcare workers in only seven Irish hospitals — 14% of the total surveyed — achieved the target vaccination rate of 40%. The lowest flu vaccination rate across all hospitals was among nursing staff at 16.7%. The highest rate was among medical and dental professionals at 38.2%. Vaccination rates were below 10% in Our Lady’s Hospital, Navan; the Mid- West Regional Maternity Hospital, Limerick; Monaghan General Hospital and Lourdes Orthopaedic Hospital, Kilkenny. The highest uptake levels were recorded in Children’s University Hospital in Temple Street, Dublin, at 47%. Others with rates over 40% were the National Children’s Hospital, Tallaght; the Coombe Maternity Hospital; Beaumont Hospital; Rotunda Hospital, St Vincent’s Hospital, and the National Rehabilitation Hospital in Dún Laoghaire. Overall uptake levels in long-term care facilities like nursing homes were slightly higher than in hospitals at 26.6% — down from 28.1% in 2014. Almost 1 in 5 such healthcare centres reached the 40% target vaccination rate among its staff. The survey of long-term care facilities also showed varying regional differences with uptake highest in north Dublin at 48.1%. However, it fell as low as 15.2% in the South-East. Like in hospitals, the highest uptake was among medical and dental professionals and the lowest among nursing staff. Among certain vulnerable groups which the HSE and the Royal College of Physicians in Ireland recommend should receive the annual seasonal flu vaccine are frontline healthcare workers. Others including those over 65 years, pregnant women, people who are morbidly obese as well as those with specified chronical medical conditions and occupational groups such as people who work with poultry, wild fowl, and pigs. “Due to the nature of their work and regular and close contact with patients, the risk of infection to healthcare workers is high, who in turn can easily transmit influenza to other non- infected patients”, according to the HPSC, which is the specialist agency for the surveillance of communicable diseases in Ireland. It claims that for this reason the seasonal flu vaccination is an important infection control measure. All healthcare facilities are provided with doses of the flu vaccine free of charge by the HSE. Implementation of the vaccine programme, is usually organised by the management of the healthcare facility. The HPSC said a sharp reduction in influenza-related outbreaks in hospitals and long-term care facilities this year was unlikely to be attributable to staff vaccine uptake.